In February 1999, I moved from my home state of Maine to the central Midwest, the American Heartland, our country’s mythological agrarian paradise. I knew the Midwestern landscape would be flat and full of corn fields, but I had envisioned some pastoral beauty: rolling hills, wooden fences, cows peacefully grazing, fields hemmed in by trees. Yet the view from Interstate 80 through Indiana, Illinois, and Iowa offered a startlingly monotonous landscape: thousands of acres of stripped fields stretched out endlessly toward the horizon, an ocean of corn stubble. I felt my heart in my throat. Where was I? Why had I left behind my beautiful New England: the woodlands, the ocean, the hills and mountains? What was I accepting in its place? What I didn’t understand then was that those barren fields were essentially factories in our country’s enormous industrial agriculture system. While my physical journey on that trip ended in Iowa—I’ve since moved to Illinois and have grown fond of the Midwest—the experience marked the beginning of a longer journey, one I’m still traveling: a growing awareness about my own relationship to the food I eat. Until that move, my relationship to my groceries had been characterized by a polite detachment. I put shrink-wrapped chicken breasts in my shopping cart, but didn’t stop to wonder how they arrived in the freezer case. I shopped for price tag and taste only—the cheapest apples, the yummiest cookies—and rarely considered the ingredients’ origins. I couldn’t bring myself to fork over the heftier price for local organic blueberries or free-range chicken. My husband and I grew an organic garden in Maine and enjoyed the fresh veggies (less so the weeding), but when it came to buying food in the grocery store, I stuck to what I’d grown up with: cheap is best. Of course, what I wasn’t taking into consideration were all the hidden costs that go into making those frozen chicken breasts so darn cheap. I was willfully ignoring what I didn’t want to see: that those chickens lived confined in windowless sheds filthy with their own excrement; that their beaks were seared off to prevent them from pecking their neighbors due to the stress of overcrowding; that breeding and hormones had sped up their growth so that the weight of their bodies deformed their legs and arrested their hearts; that they were fed a constant stream of antibiotics to stave off disease (meanwhile creating antibiotic-resistant strains of disease with the potential to plague the rest of creation); and that their feed might legally include ground-up cattle parts, as well as the corn from those vast fields treated with enormous quantities of pesticides and herbicides. Who wants to face these stomach-churning facts? I certainly didn’t. People are suffering the world over; do I really have to think about chickens, too? I wish I didn’t. I am a live-to-eat sort of person. Good food feeds me, body and soul. I figured the least I can do is give some thought to where it came from. And yet, though we are only a few generations removed from ancestors who grew their own food in their own soil with their own hands, most of us are completely alienated from what we eat. We don’t know who grew our food, where it came from, or how far it traveled to get to us. The truth is, we may not want to know because confronting our food means confronting the fact that when we buy conventional supermarket chicken breasts or lettuce we’re supporting an industrial food system rife with unhealthy, environmentally harmful practices. When we eat conventionally raised foods, we’re communing not with the natural world, but with an ecologically disastrous industrial system. Just a hundred years ago, farming in this country was a local, small-scale enterprise, organic because organic was the only way. Farmers grew a diverse array of crops—not just corn and soybeans, but all manner of vegetables and fruits—and raised livestock. They fed their families first and sold their surplus. Subsistence farming ensured that food was both raised and consumed close to home. Development of mechanical methods of planting and harvesting, and of chemical fertilizers, pesticides, and herbicides, brought about the Green Revolution, a technological coup that transformed agriculture around the world. The agriculture industry didn’t set out to plague the planet. DDT was hailed as “the miracle insecticide”; nitrogen fertilizers produced lovely dark green plants; tractors, combines, and crop dusters alleviated the hard labor of farming. Hybrid plant breeding produced higher-yielding crops, bringing total U.S. corn production from 2 million bushels annually in the 1930s to 11.1 billion in 2005–2006. Farmers and policy-makers grew enchanted with the apparent increase in efficiency: An acre could produce about 24 bushels of corn in 1930; today it’s about 160 bushels. The dramatic increase in crop yields has been credited for relieving famine in some regions of the world, most strikingly in developing countries like India and Pakistan. But the Green Revolution had a huge unintended consequence: an increasingly unsustainable industrial agricultural system. Today, almost fifty years after Rachel Carson exposed the deadly effects of DDT in her book Silent Spring , toxic pesticides and herbicides still sicken farm workers and pollute groundwater. Nitrogen-based fertilizers have set us on a course of severe atmospheric and aquatic pollution. According to Laura Jackson, a Unitarian Universalist who is a professor of conservation biology at the University of Northern Iowa and co-editor of the book The Farm as Natural Habitat , about half of the 1.5 billion pounds of nitrogen we apply to our soil in the United States every year ends up in the atmosphere in the form of acid rain and greenhouse gases or flows down the Mississippi into the Gulf of Mexico. Decades worth of nitrogen runoff from Midwestern fields has created massive algal blooms in the Gulf that have sucked the oxygen from the water and killed off all other aquatic life in a 12,000-square-mile area. What’s more, while the astounding bushels-per-acre increases over a half-century may scent industrial agriculture with the whiff of efficiency, the system stinks of hemorrhaging oil. According to Michael Pollan, author of The Omnivore’s Dilemma , every bushel of conventionally grown corn requires a half-gallon of fossil fuel to produce (nitrogen fertilizers and pesticides are made from fossil fuels). When you consider that about 60 percent of that corn goes to feed livestock, it’s possible to calculate, as Pollan does in his 2002 New York Times Magazine article “Power Steer,” that a typical steer consumes about 284 gallons of oil in its lifetime. That’s enough fuel to drive an average car from New York to Los Angeles and back. Nor should we neglect the food processing industry, which uses about 10 calories of fossil fuel energy for every single calorie of food energy. That figure doesn’t even include the fuel used to transport your food from farm to plate, which is, on average, a journey of 1,500 miles. Our agriculture system generates 20 to 25 percent of the country’s greenhouse gases every year. In fact, researchers at the University of Chicago just discovered that we could slow the rate of climate change more effectively if meat-eaters went vegan than if they traded their gas-guzzlers in for hybrids. A large part of the problem lies with the enormous subsidies our federal government pays conventional growers. Corn costs more than $3 a bushel to produce; the same bushel sells for just over $2. Taxpayers pick up the difference. Jackson notes that in Iowa, 45 percent of a farmer’s income comes in the form of federal subsidies. Helping farmers grow our food sounds like a good thing to do. But very few federal subsidy dollars go to help struggling family farmers—the few that are left. The growers that receive the subsidies are by and large industrial agriculture’s power elite. For example, in 2003 Arkansas’ Riceland Foods, one of the top producers of rice, soybeans, wheat, and corn, received more money than all the farmers in Alaska, Connecticut, Hawaii, Maine, Massachusetts, Nevada, New Jersey, New Hampshire, and Rhode Island combined. Subsidies—which go only to growers of corn, soybeans, wheat, rice, and cotton—also encourage single-crop cultivation, as opposed to the more sustainable and biologically diverse mixed crop system. If you’re paid to grow wheat, why waste an acre on heirloom potatoes? In the wake of the Green Revolution the world has lost about 75 percent of the genetic diversity of our agricultural crops, according to the United Nations Food and Agriculture Organization. The Rural Advancement Foundation International found that 97 percent of the vegetable varieties that were available in 1900 are now extinct. And it’s not only crop varieties that we’re losing. According to Jackson, agriculture is the primary cause of habitat loss for endangered species. A staggering 70 percent of listed endangered species are affected by agriculture, including the pallid sturgeon and the interior least tern, which used to frequent the Missouri and Mississippi Rivers. Non-endangered species are also suffering. Iowans are losing songbirds like the bobolink and the western meadowlark, which used to migrate from Argentina and Central America to nest in the state’s tall grasses—originally the native prairie, then later the planted hayfields. Most Iowa prairie is long gone, and today farmers rarely plant hayfields, so there are fewer and fewer grasslands for these birds to nest in. No wonder we turn a blind eye to our food. The picture looks bleak, the problem overwhelming, and a solution unreachable. It can seem as if our options are to go vegan—a path enthusiastically supported by the Unitarian Universalists for the Ethical Treatment of Animals (UFETA), among other organizations—or to give up. I admit that going vegan feels extreme to me: I have a hard time imagining a happy existence without the pleasure of a good cheese. But giving up is no solution, either. I don’t want to be alienated from my food—and from the planet that produces it. Luckily, there is a middle ground, and the UUA’s Seventh Principle points the way. Eating, of course, is an essential element of our everyday experience. If we can approach our daily meals with a sense of reverence, if we can recall each time we slip a forkful of food into our mouths the many miracles it took to cultivate, harvest, and prepare that bite, we will be moving toward truly living this radical principle. Like the body, Professor Jackson says, food is sacred, “the literal kinship of human beings to every other animal, plant, fungus, bacteria on earth. We’re all coming from the same source.” The Rev. Charlotte Shivvers, minister emerita of the Sepulveda UU Society Church in California and owner of an Iowa farm, amplifies: Eating with integrity can bring us into a better connection with the integrity of the universe. Seen in this light, buying, preparing, and eating our meals can deepen our connection with the interdependent web of life. As you might expect, eating conscientiously requires the engagement not only of our minds and spirits, but also of our wallets. And revamping our shopping habits can feel overwhelming, since we are so rich in consumer choices. Should I buy cheaper organic milk from a distant dairy, or the more expensive organic milk from regional producers? What about the slightly cheaper non-organic but hormone-free milk from my local dairy? How much you spend on your food will depend on the amount of wiggle room you have in your budget. And how fully you plunge into researching local food systems will, of course, depend on your predilections. If you aren’t interested in deep research, then buying USDA-certified organic products or pasture-raised meats can be a first step. “Pick one or two things you can do and go from there,” advises Dana Jackson, senior program associate at the Land Stewardship Institute. She is also Laura Jackson’s mother and co-editor with her of The Farm as Natural Habitat . A good next step is to learn what’s available in your community. Is there a farmer’s market? Start doing some shopping there. If not, are there farm stands? Most states offer directories that list farms that will sell meat, vegetables, eggs, milk, cheese, even soap and lotions to individuals; check your local USDA Cooperative State Research Extension and Education office. There are also national online directories, such as localharvest.org, eatwellguide.org, or foodroutes.org, that will provide you with a listing of nearby farmers based on your ZIP code. (These are often not as complete as state or local directories.) As you become comfortable buying one or two items locally—bread from the local bakery, say, or hormone-free milk—you can add another and then another. “It’s a step-by-step process,” says Dana Jackson. If you’re ready for a greater commitment, look into joining a CSA, which stands for Community Supported Agriculture. You support a local farm by committing to buy a share of its products for a season. In return, you receive fresh seasonal vegetables, fruit, and/or eggs each week, usually delivered to a central pickup location. By participating, you’re supporting local, often organic agriculture, and stepping away from the industrial system. You’re buying vegetables that have traveled only 50 miles to get to your table, as opposed to 1,500. Your CSA tomatoes are often handpicked the day you get them. You can often find out about local CSAs at your farmer’s market, natural foods store, or in the same farmers directories mentioned above. Of course, the best local food system is your own backyard. Growing a vegetable garden is a sure way to deepen your connection with the interdependent web. You quickly learn to tune in to the weather, the amount of sun shining and rain falling, as well as the other critters in your area that might be after those gorgeous tomatoes of yours. You become aware of the effort involved in bringing that tomato from a seed to full fruit, and of how much better one tastes if plucked straight from the plant rather than from the grocery store bin. If you have no backyard, you can grow a pot of basil on your windowsill, or even a small garden on your rooftop, or you can get involved in a community garden. Growing our own food helps us tune in to the seasons and to what our own local environments can support. You learn to adapt your expectations and your tastes to what’s seasonally available. There’s pleasure in that, too, in limitation—because you know that strawberry season is finite, and so the picking and eating and freezing you do during that season is all the more precious. Inevitably, thinking about ethical eating means thinking about the animals we eat. The Rev. Gary Kowalski, minister of the First Unitarian Universalist Society of Burlington, Vermont, treasurer of UFETA, and author of several books including The Souls of Animals , believes that “the greatest and most effective thing we can do to befriend our own bodies and befriend the environment and other living creatures is to eliminate meat from our dinner table.” In my conversation with him, Kowalski ran down a list of highly persuasive reasons to take this step. He told me that eating a 16-ounce steak is equivalent to driving about 25 miles in your car. Each new vegetarian annually saves three acres of tropical trees. It takes 25 gallons of water to produce a pound of wheat and 25,000 gallons to produce a pound of beef. Clearly, the choice to become a vegetarian—or, even better, a vegan—is an excellent way to diminish your ecological impact. One thing to note: These statistics are based on industrially raised meat. Buying the meat of local, pasture-fed animals also reduces your environmental footprint, just not so much. Every farmer who grows grass for pasture rather than corn and soybeans improves the soil and invites migrating songbirds to return. Eating animals raised with room to roam and diets suitable for their digestive systems is markedly better than supporting the cruel and destructive practices of feedlots and poultry and hog factories known as concentrated animal feeding operations. My family and I are meat eaters—my husband is allergic to so many foods that meat is one of the few things that he can eat. Many natural food stores sell sustainably raised local meat, but we decided to invest in a chest freezer and embark on the adventure of buying local meat directly from farmers. We interviewed a few farmers and settled on those who offered the best price as well as the raising practices we wanted to support: grass-fed, free-range, and antibiotic- and hormone-free. We invited our neighbors to buy a hog and a cow with us, with each of us getting half of the meat. When the farmers called and told us it was time, we picked up our meat at the meat locker where the animal had been butchered. Each time we take a package of bacon or a roast out of our freezer, we’re reminded of where it came from. And the meat tastes extra good. This is one way my family and I practice the notion that what you eat should depend on where you live. Ideally, we would each eat primarily from within our own “foodsheds.” This term, usually attributed to permaculturist Arthur Getz, uses the metaphor of a watershed to describe a regional food system. It encourages us to think about our own food supply as part of a natural ecosystem, affected by both geography and economics. Getting to know our own foodsheds—what they can and can’t support, what dangers they face, what needs they have—is a way of getting to know our own regional ecosystems. And as we learn about the ecology of our own particular foodshed, we can begin to learn how to protect and care for it as well. Getz’s basic question—Where is our food coming from and how is it getting to us?—is an essential place to begin. Engaging with local food systems takes time; it means no more one-stop shopping. We can buy our local milk at the grocery store, but we drive 45 minutes into rural Illinois every few months to get freshly butchered chicken; and during the summer, we buy the vegetables we don’t grow in our garden from the farmer’s market. Shopping there on Saturday mornings is like a walk down a mythical American Main Street: Strolling down the booth-lined rows, I stop to chat with friends and neighbors or to sample some herbed goat cheese on a cracker. I listen to a little homebrewed bluegrass while I’m weighing a ripe tomato in my hand. It’s much more of a social affair than pushing a cart through the sterile, fluorescent-lighted produce aisles of the local Wal-Mart Supercenter. Plus, there is the anticipation: When I get home, I’ll be able to slice that fresh tomato, spread that goat cheese on bread, and enjoy the sandwich with a plateful of crisp greens on the side. The spinach scare last September—when three people died and 200 people in 26 states got sick from eating packaged spinach contaminated with E. coli—brought home once again the very real dangers of the industrial food system. The E. coli on that spinach grew and thrived in the bellies of cattle on a nearby feedlot—cattle that were fed grain rather than grass. Cows are ruminants: They did not evolve to eat corn, yet that’s what they’re fed regularly in feedlots across the country. Corn makes them sick, and provides an ideal environment in their stomachs for the growth of E. coli, which then leaves their bodies via their manure and leaches from feedlots into the water supply. Nor was the spinach scare an isolated event. E. coli made the news again in December when green onions served in Taco Bell restaurants sickened dozens. According to the Centers for Disease Control and Prevention, our food supply annually sickens 76 million and kills 5,000 Americans. Getz’s question—Where is our food coming from?—is not only a question of ethics, but one of security as well. Our food supply is highly vulnerable to contamination. Eighty percent of our beef is processed by four companies; 75 percent of the pre-cut salads are processed by two. Imagine the possibilities: if each of our congregations committed to buying organic, shade-grown, fair-trade coffee at our coffee hours and providing organic half-and-half for the cream; if we made a point of serving locally grown and/or organic food at each social event or fundraising dinner (no more Sam’s Club! ); if we made each of our churches available as a drop-off point for a local CSA or farm cooperative. Imagine what might happen if our congregations took the lead in our communities by facilitating relationships between other churches—or even other institutions, such as retirement homes and hospitals—and local farmers. Not only would this benefit both the farmers and eaters involved in the project, but it would benefit the community by keeping local food dollars in the region—a genuine form of community economic development. And it would send a clear message to our communities that we, as Unitarian Universalists, believe in supporting our local food systems and in opting out of the environmental debacle that is industrial agriculture. Some churches have already begun. Among them, Unity Church–Unitarian in St. Paul, Minnesota, is beginning to educate its congregation through its new sustainable agriculture ministry team. They’ve hosted a local foods harvest dinner, serving only foods from the local area. The church is a delivery point for a local farm cooperative, allowing members to order food from the cooperative and pick it up at the church. In Kansas City, All Souls Unitarian Universalist Church has long been a supporter of the Kansas City Food Circle, an organization that helps make connections between organic growers and local consumers. Last year they took up a special collection that raised more than $1,000 for the Circle, helping to fund their annual farmers’ expo; they’ve also had Circle speakers at their adult forum several times. Last year, twelve members of the First Universalist Church in Rockland, Maine, picked up their weekly CSA share from the church; the church also bought a share for the local food bank. The UFETA chapter at the First Unitarian Church of Los Angeles organizes a monthly vegan/vegetarian lunch. And just this October, my congregation, the Unitarian Universalist Church of Urbana-Champaign, Illinois, hosted our own local and organic foods potluck. It was a delicious feast. It’s hard work, building and supporting a local food network. It takes persistence and a certain amount of dogged dedication. But the good news is that there’s joy in it, too. When you can open your refrigerator and imagine the face of the farmer who raised the cows that gave your milk and butter, or who picked the asparagus in your crisper, there’s a unique sense of satisfaction, of knowing that the system you’re supporting is healthy—not only for you and your family, but for your community and for the planet. This is connection, this is intimacy with the interdependent web, and, at the very least, this is an excellent step toward a food system that respects the complexity and fragility of the natural world. Illustration ©2007 by Eili-Kaija Kuusniemi/i2iart.com. Unitarian Universalists for the Ethical Treatment of Animals. Independent advocacy organization of UUs. Amy Hassinger teaches at the University of Nebraska at Omaha’s Low Residency MFA program and lives in Urbana, Illinois, where she is a member of the Unitarian Universalist Church of Urbana-Champaign. 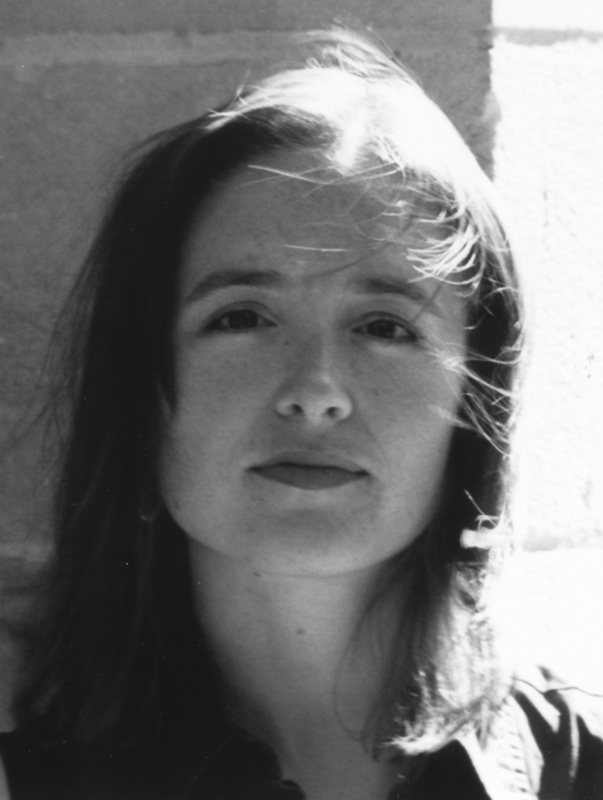 She is the author of two novels, Nina: Adolescence (Blue Hen, 2004) and The Priest's Madonna (Putnam, 2006).